Greetings my friends and readers. As I write this, it is pouring rain. Has been all day! I was out this morning for a hair appointment. Made a quick stop at Costco..then I decided the rest of the errands could wait until the rain stops! lol. 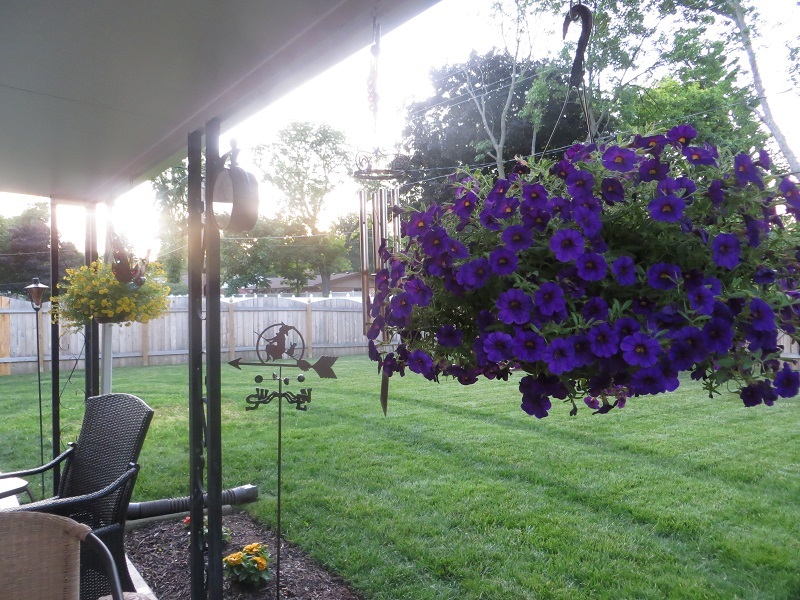 So I just had lunch and I’m listening to some Blackmore’s Night while watching the birds and ground critters, and my gardens that are lush, green and wet..and decided to go ahead and write a blog post with those recipes I promised. 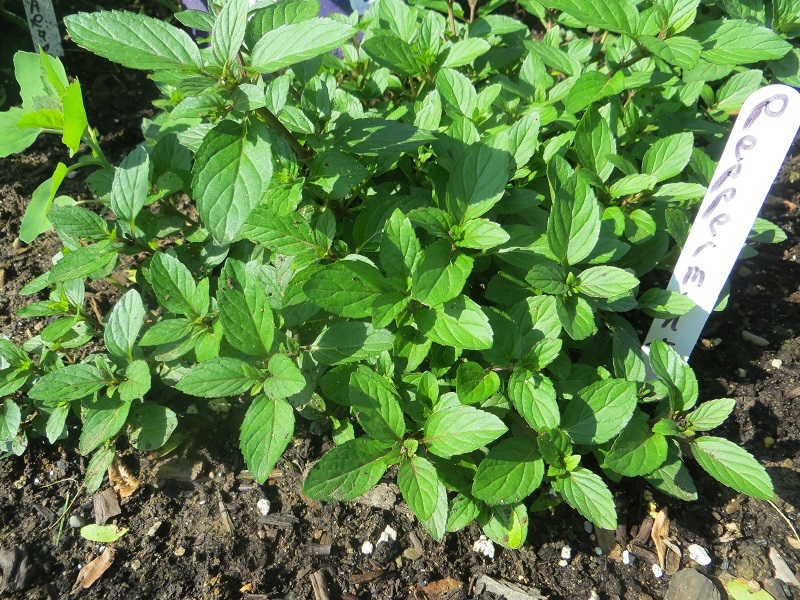 I’m going to start the recipes out with a wonderful mojito recipe to use up all of that peppermint herb growing like crazy in my herb bed. I bet many of you have a plethora of it too! This recipe makes a glass but you can make a pitcher too! Make the simple syrup. Mix sugar and water in a sauce pan and bring to a boil. Stir until sugar gets dissolved. Remove from heat and store in the fridge until ready to use. Pour lime juice and 1 ounce simple syrup into a tall glass. Add mint leaves and muddle it together. Add rum and muddle a little more. Add ice and a splash of soda. 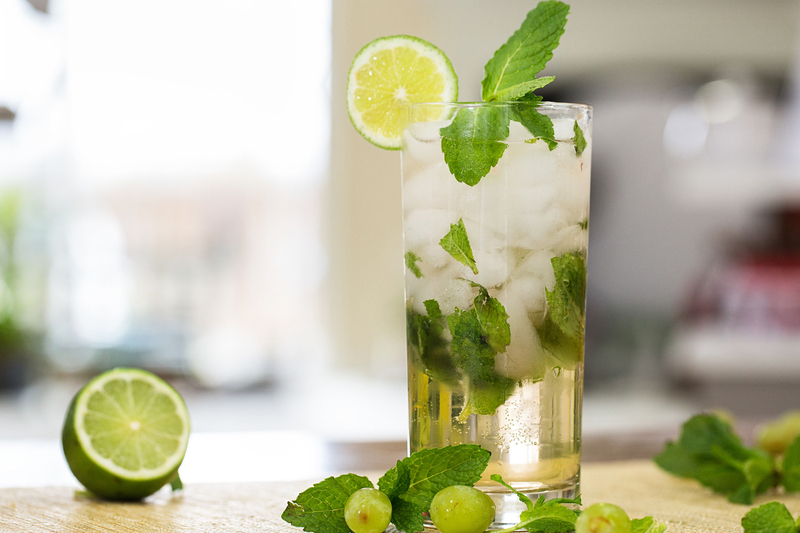 Serve garnished with fresh mint leaves and a slice of lime. *I discovered how good these were just last year and just love them! You can control the sweetness by how much of the simple syrup you use as well…use less if it’s too sweet! 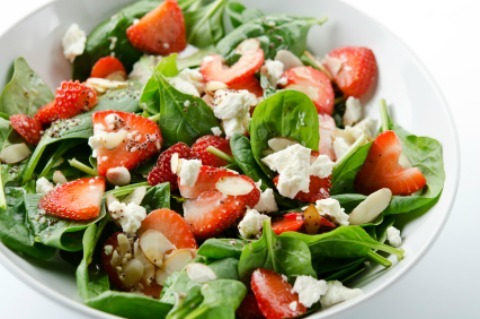 In a small bowl, combine the cream cheese, mayonnaise and salad dressing mix.. Refrigerate for 1 hour. 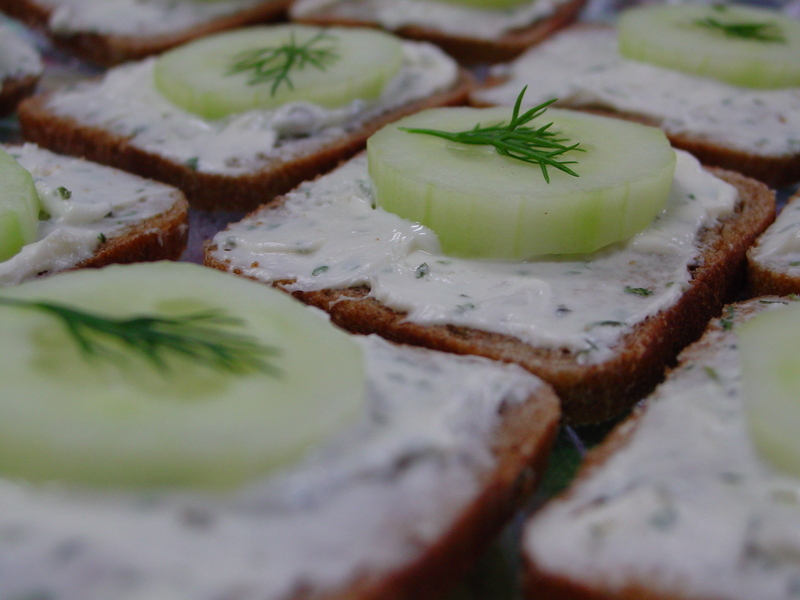 Just before serving, spread over rye bread; top each with a cucumber slice. *Adding a little fresh dill would be really good too! Preheat oven to 450°F. Line a large rimmed baking sheet with parchment paper. Stir first 3 ingredients in a large bowl until sugar dissolves. Add pineapple; toss to coat. Let marinate, tossing occasionally, for 10 minutes. Place pineapple, one flat side down, on prepared sheet; reserve marinade. 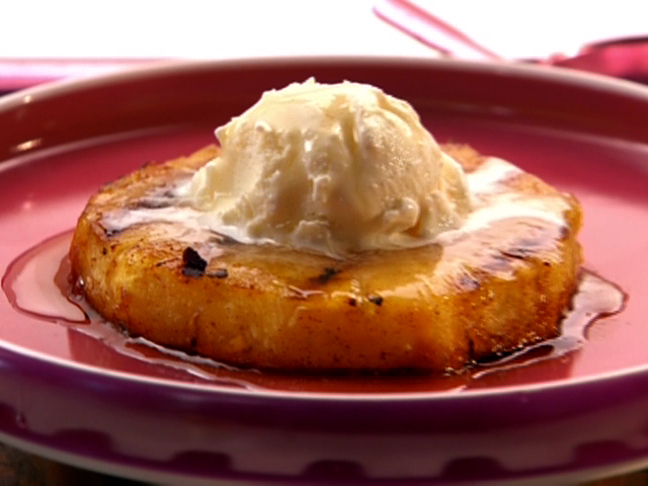 Roast pineapple for 15 minutes. Turn, brush with marinade, and roast until tender and caramelized, 10-15 minutes. Drizzle remaining marinade over; let cool slightly. Divide pineapple among plates. Spoon crème fraîche alongside. Garnish with nuts and mint. Well, that should add to your list of possible recipes for the Solstice. Or anytime throughout the Summer! Don’t forget to do a search over here on the right ——> for more recipes and more from me about the Solstice. 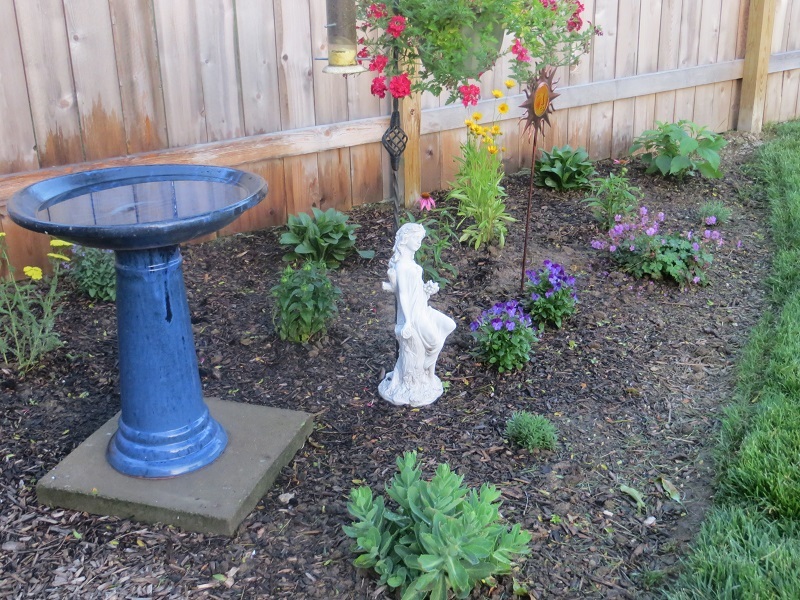 If it ever quits raining, I will post some pictures of my gardens, as I promised, for you. 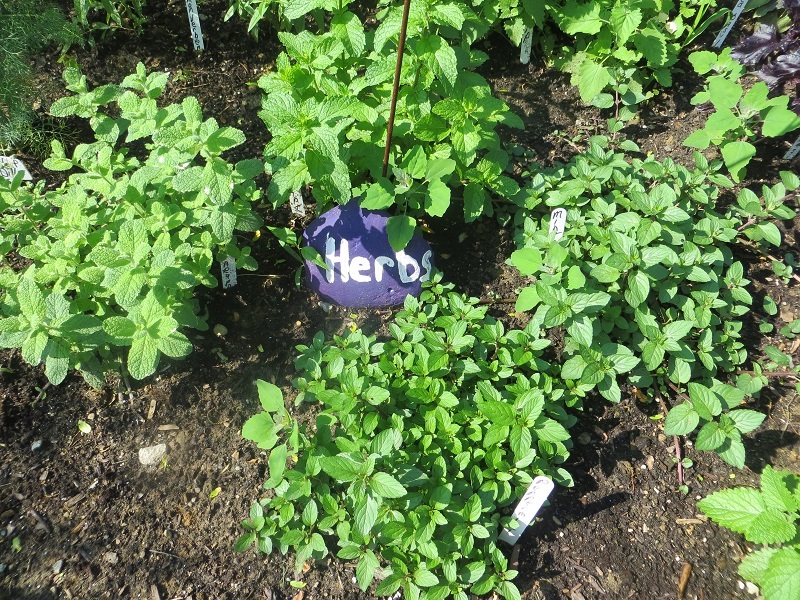 My herb bed is overflowing and I will most definitely be harvesting this weekend! 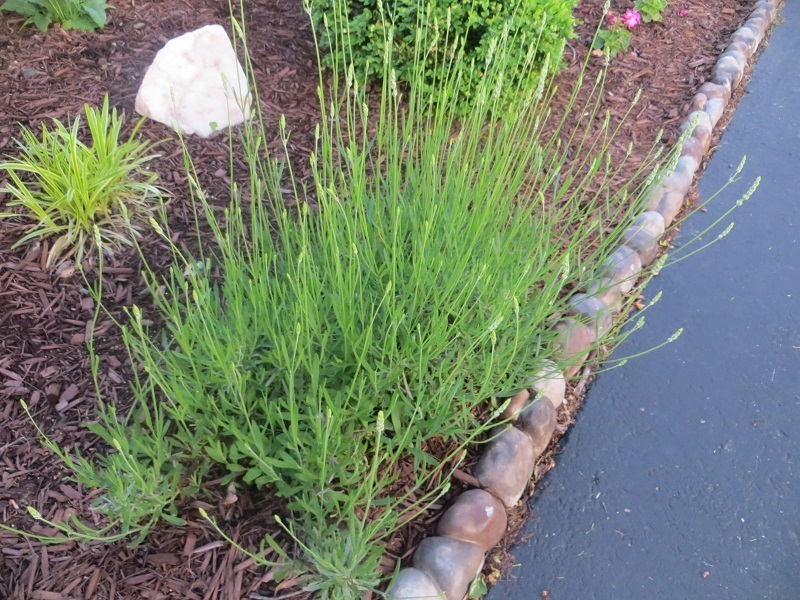 I love harvesting my herbs to dry…then watching them grow again! Not to mention using them in my recipes, in my spells and rituals as well. Yesterday was the New Moon……what new projects are you starting? What old negative things are you banishing? I hope you’re using the energies to your advantage. Not to mention we are out of Retrograde! lol..can you feel a difference? Hope you all have a great rest of the week! I’ll be back in a day or two or at least by the Solstice! Until then….Much love and may the Sun be shining on you and yours! Merry Meet my friends! I have been writing all afternoon….in my journal and doing my recipes for both Imramma Magazine and The Sunday Stew Magazine. I thought while I was at it, I’d go ahead and write a blog post too. Our weather has been crazy lately! 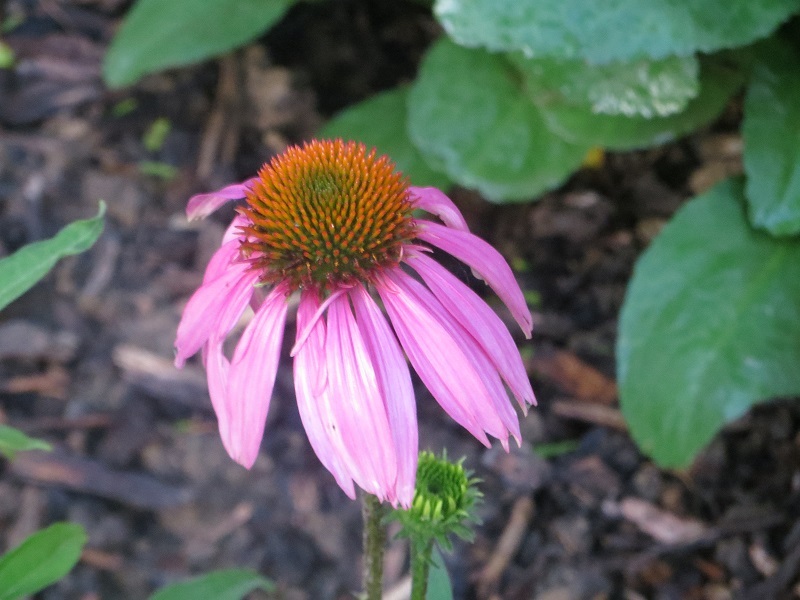 We’ve had a LOT of rain…which the gardens love, but we’ve had very little Sun which they also would love. We also have been quite chilly the last few days….unseasonably cool weather..requiring us to go straight from using the A/C to turning the heat back on lol. But that is Ohio for you..and many other states have the same issues right now 🙂 But no matter the weather, Summer is coming fast! Those who know me, know I’m not a huge fan of Summer…but it’s not really Summer..it’s just the heat! I love many things about these months of summer. 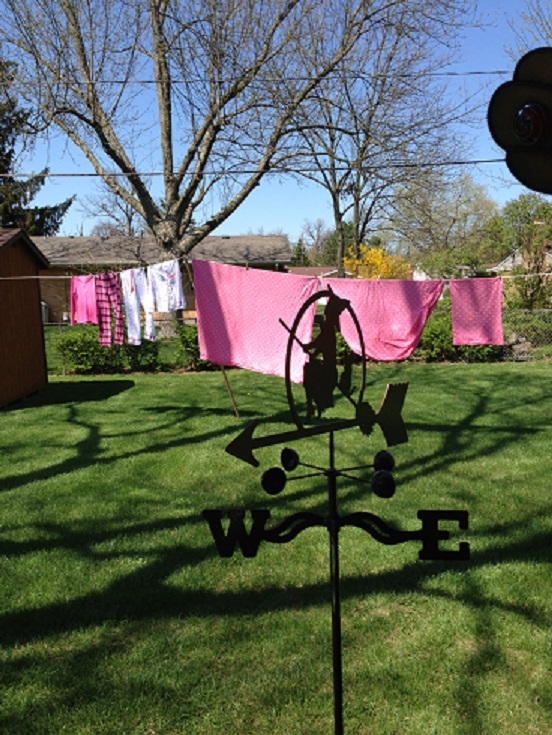 Getting to hang clothes out on the line, the warm evenings for hanging outside, listening to and watching the birds in the early morning while I sip my coffee on the patio, taking walks, grilling, fresh fruits and vegetables, the Farmer’s Market, the smell of fresh mown grass and my herbs, and that electric scent of storms coming in. One of my favorite memories of my childhood of summer, was spending the week at my grandmother and grandfather’s house. They owned 10 acres and had a huge garden that kept them very busy over the Summer. 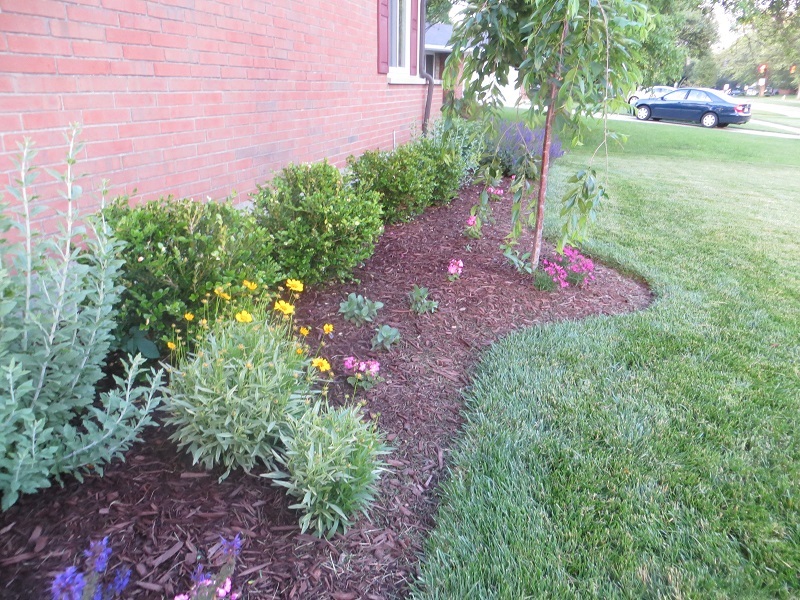 I loved helping grandma pick whatever was ready….then help to “put it up”. Whether it was snapping beans, shelling peas, making applesauce or rhubarb sauce, canning tomatoes, making strawberry jam or crabapple jelly (my favorite)..I was right there helping her..with great pleasure. I remember her in her housedress and apron..almost always in the kitchen, garden, or sitting outside with us while we played. The first day we’d be at her house, she would take my cousin and I off to the library, where we would stock up on books for the week. She would set up hammocks for us under her biggest trees..and we would lay there reading for hours. The evenings were spent talking on the porch, having a 7 course meal (I’m not kidding..so much food!). Then it’d be bathtime with a smack from her wonderful powder puff and to bed early. Waking up to the mourning dove calling in the early morning …well …to this day when I hear a mourning dove’s call….I think of her. I miss her still. It was such a simple time..very little tv was watched, no electronics, etc…it was spent together..working hard, playing hard..enjoying life’s simple pleasures. This is what I wanted my kids to remember..and now my grandkids too..it’s so so important! The Solstice..the longest day is June 21 this year. It’s also Father’s Day which will make it either more fun for us Witches and Pagans, or it will interfere with our Litha plans. LOL. In my case, it will be fine either way. We will most likely celebrate with my father on another evening, and same with my son-in-law! My hubby will be able to do as he pleases for his day, and so will I 🙂 My Litha celebration will consist of a welcoming toast at Sunrise that morning, some time tending gardens, fresh wards and protection put around my house, a simple, fresh feast, and then a fire outside, under the stars and moon, to finish up the evening. My daughter and my husband will enjoy the fire and the feast right there with me 🙂 I often do a re-dedication to the Goddess for Litha as well. A simple ritual reminding Her and myself that I am of Her..with Her..from Her. It’s always so beautiful and affirming to me. Fills me with peace and joy. My coven will gather the following Sunday for Circle, fire, feast and fun! I hope that you don’t mind my walk down memory lane. Perhaps you should take one yourself? Put a blanket under a tree, lay down and feel the breeze, see the beautiful play of light in the leaves, close your eyes and daydream a bit. 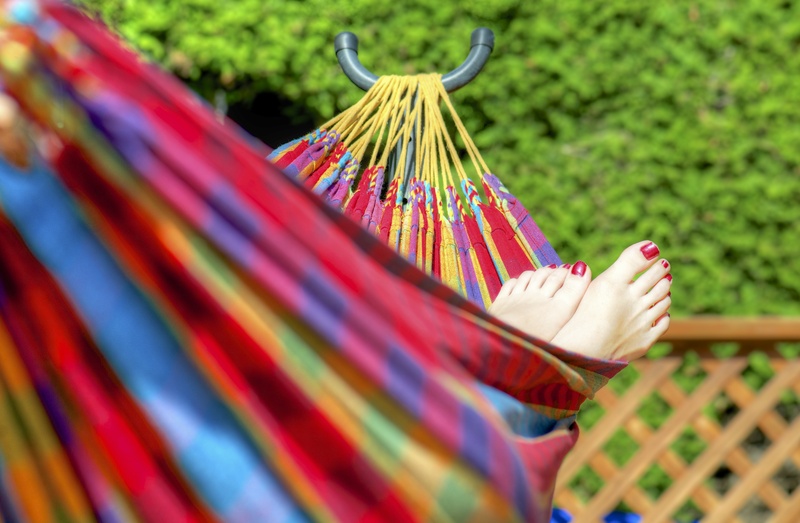 Are you taken back to carefree summer days? 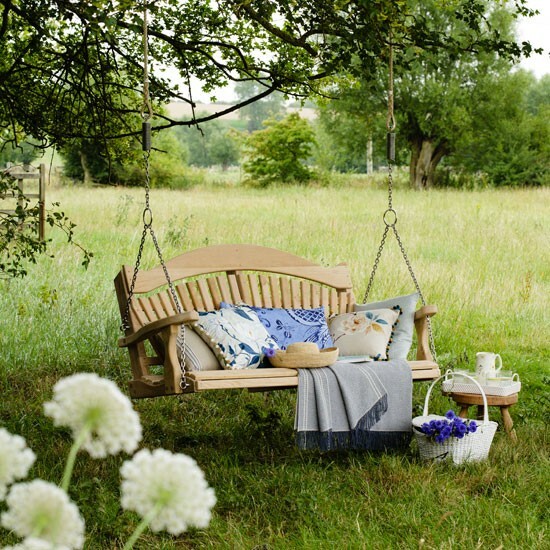 Try to recreate them again…summer is for playing, being a child at heart, throwing cares to another day…..just try it!! You’ll be rejuvenated by it! I’ll be back again soon with some new recipes for Litha for you to try. And of course whatever else pops up I want to talk to you about or share with you. 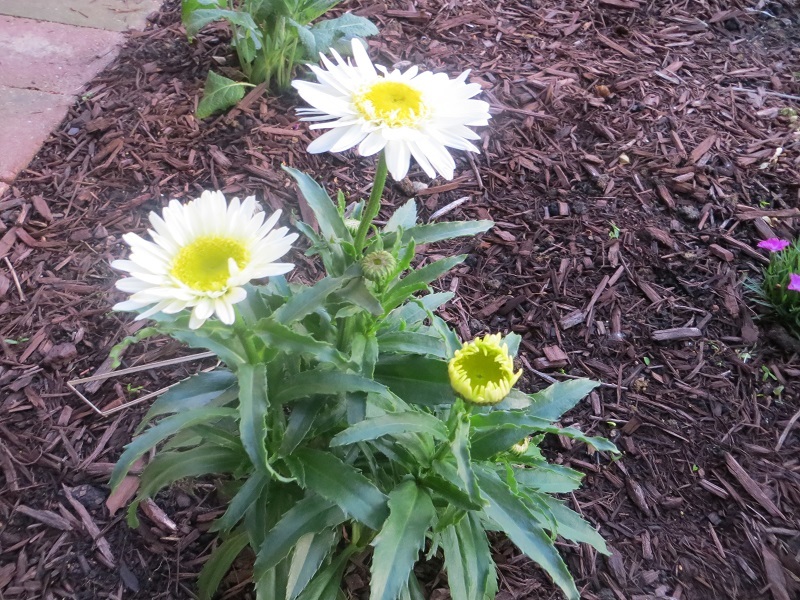 Until then, Enjoy these last days of Spring..no matter the weather….for they will be a year coming back again! 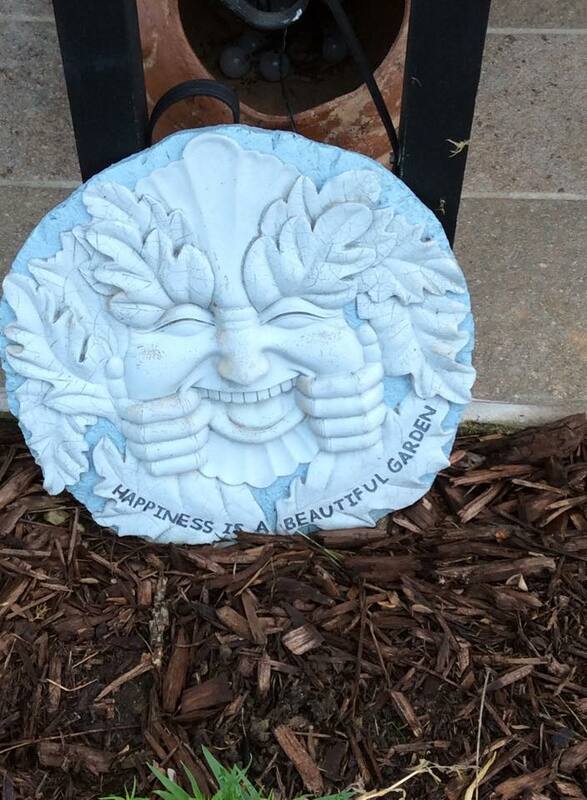 I’m a Happy Garden Witch……….. This is only the 2nd Summer now in our new home and we are still planning garden beds and fine tuning what we did last year. 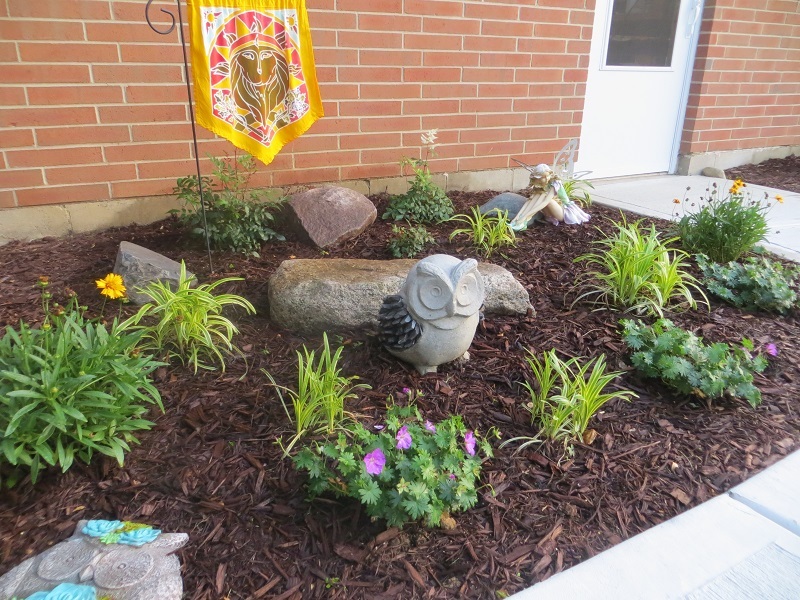 We lost some plants from the extreme Winter we had so we had to dig up some dead plants and decide what to do with the space. I’m thrilled with what we’ve done. 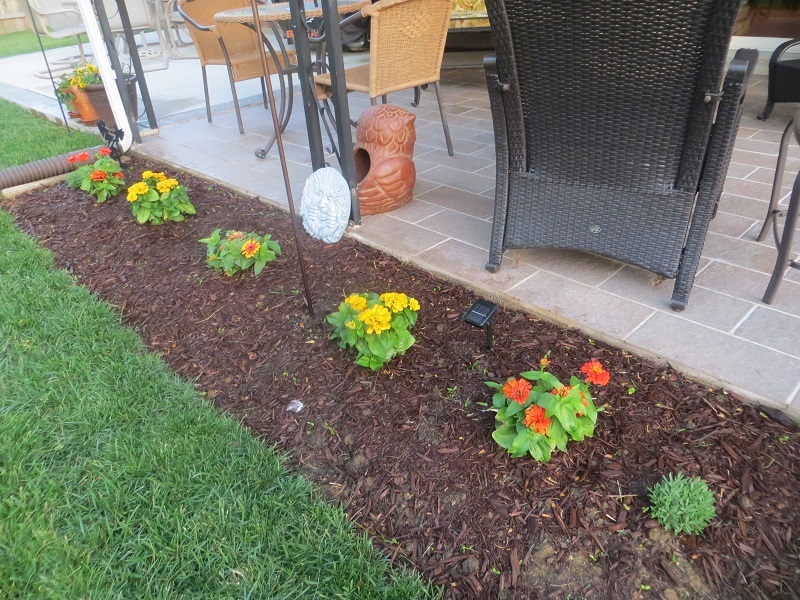 I did most of the bed design and planting..while hubby helped me with the bigger pots and the I helped him with the mulching. As a Witch…..I have added Magick in many ways. 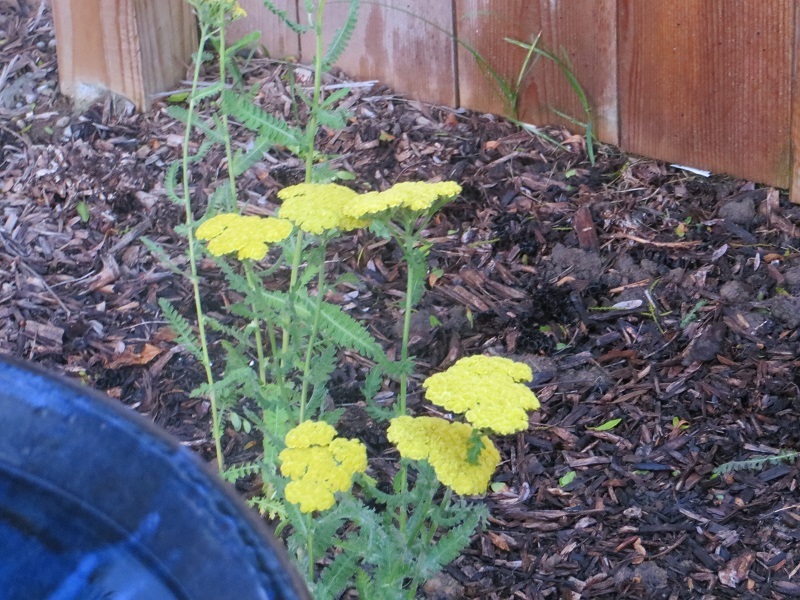 As I plant….I put my intentions and energy into each plant to grow strong and healthy..infuse it with Magick! 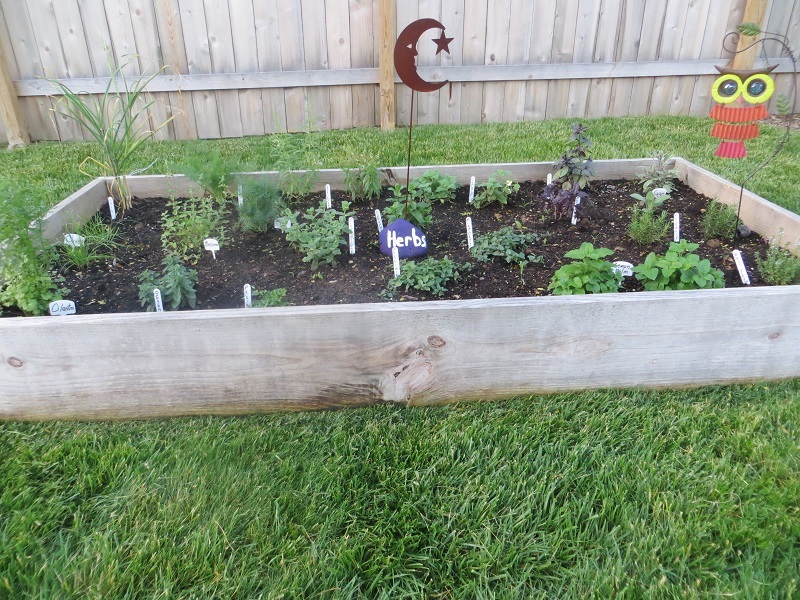 I draw runes and pentacles in the dirt, or even right on the wood of the raised bed of herbs. I plant crystals in the soil, water with collected Moon Water and ask Goddess to bring Her energy and power to my home and gardens. For me, working in soil…handling living plants, nurturing them, and watching them bloom and grow…brings me pure Joy, Grounds and Centers me, and allows me to feel one with Mother Earth. 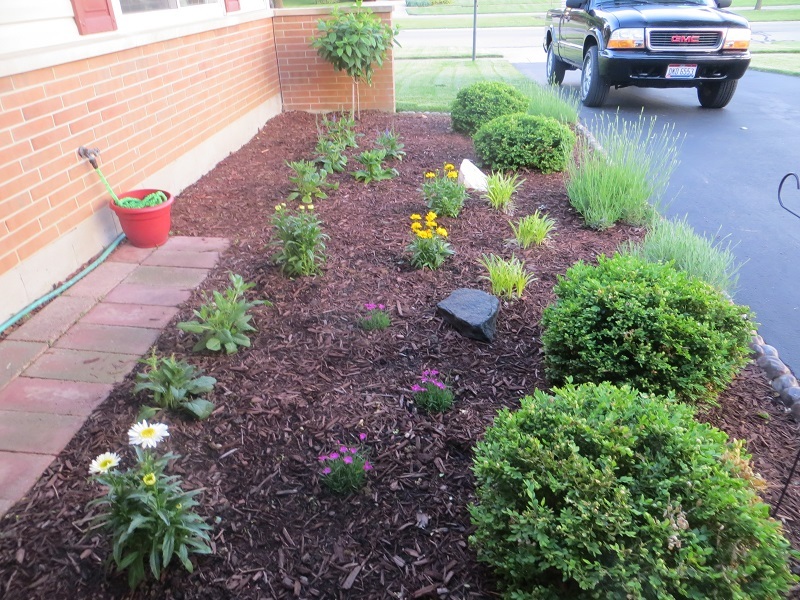 I have many friends who don’t have yards or garden beds because they live in apartments etc. I have friends who say they don’t have a green thumb..have no luck or desire to garden. That’s ok too. 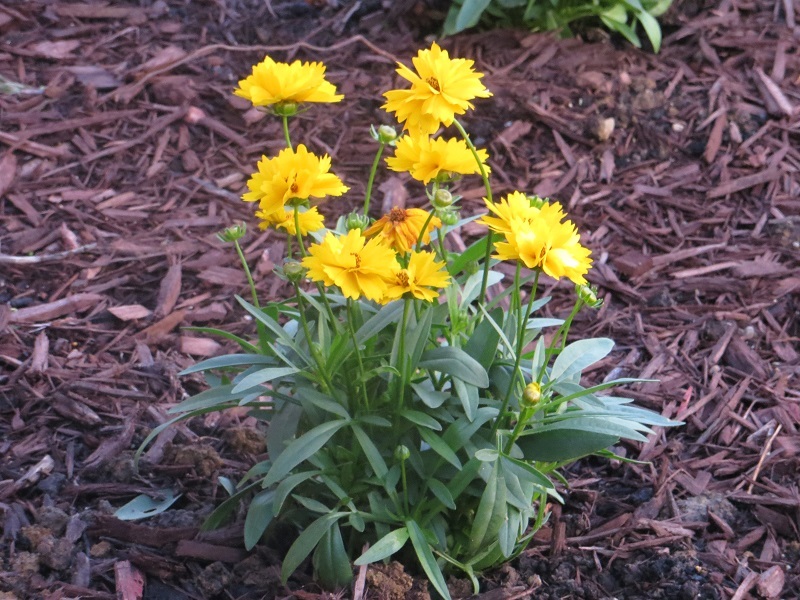 Not everybody is into gardening…I’m sure you have some other talent I wish I had 🙂 For those that want to but live in an apartment….it takes a very small space of balcony or patio or patch of dirt to plant a few things to bring you joy. 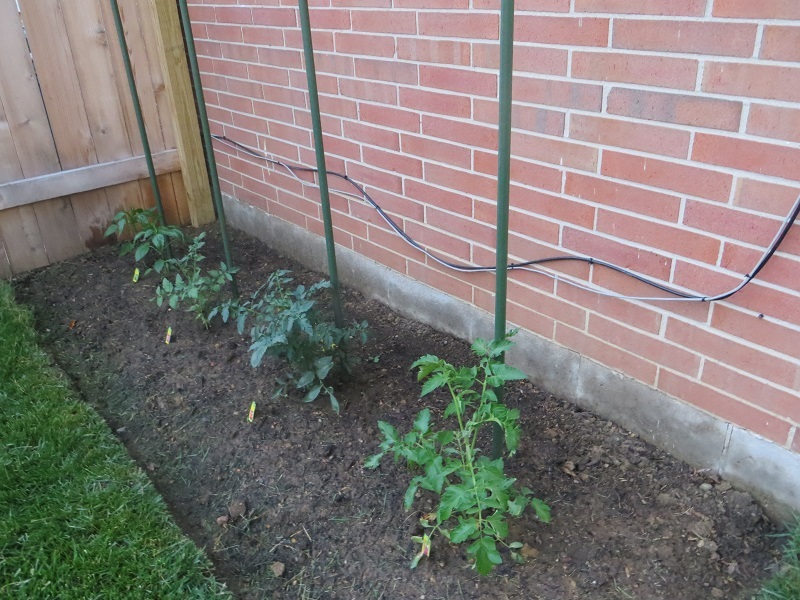 Pots are wonderful for growing flowers, herbs and even some vegetables. The Joy is the same! This time of year, I get such a thrill out of seeing my friend’s gardens posted on social media. I get such great ideas and inspiration from others. My friend Sunshine has a wonderful little balcony. It’s one of the most magickal little places I’ve seen… with her pots of herbs and flowers and veggies, her Goddess statues and faeries….I get inspiration from her too! Though it’s a small space…it’s pure Magick! It’s only 18 days until the Summer Solstice. The Solstice is usually when I get to do my first harvest of herbs, and when I re-new my Witch’s Protection Bottles, wards etc around my home and yard. I’ll be back to talk more about that soon. 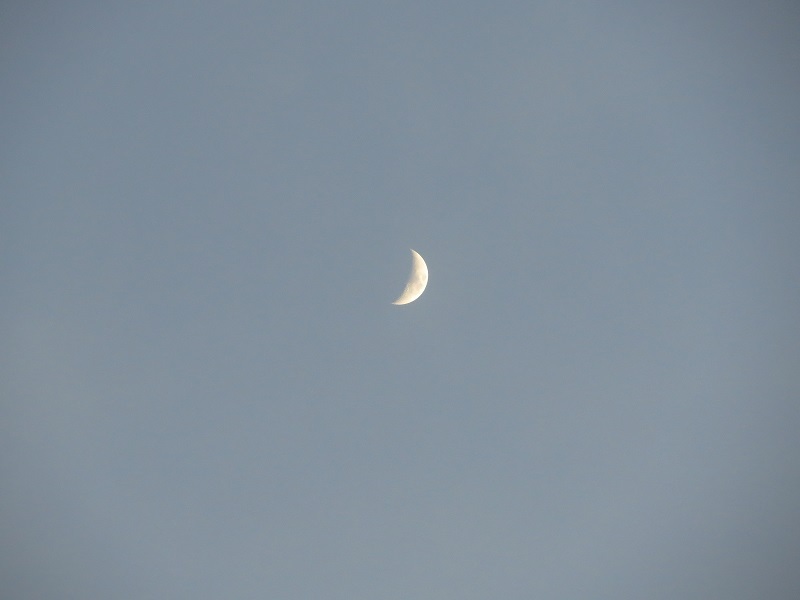 In the meantime…get barefoot, go out under the waxing Moon (Friday the 13th She will be Full!) 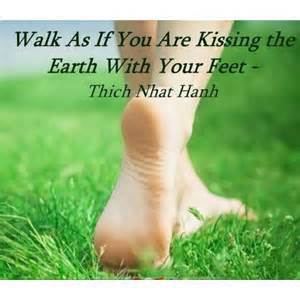 and just FEEL the warmth of the Earth, and the softness of the grass on your feet. It will fix just about anything that’s ailing you! Hello everyone! Hope this posting finds you all either enjoying heading towards Summer or heading towards Winter! 🙂 Here in Ohio we are obviously heading for Summer but it is always so much fun to see my “southern hemisphere” friends talking about cold, blustery winter days by the fire. It is a reminder to me always about the turning of the Wheel and Mother Earth. We have had both a very HOT June and a very cool June so far. I have enjoyed the cooler days as those who know me or read my blog know I’m not big on hot weather. But I do love Summer. 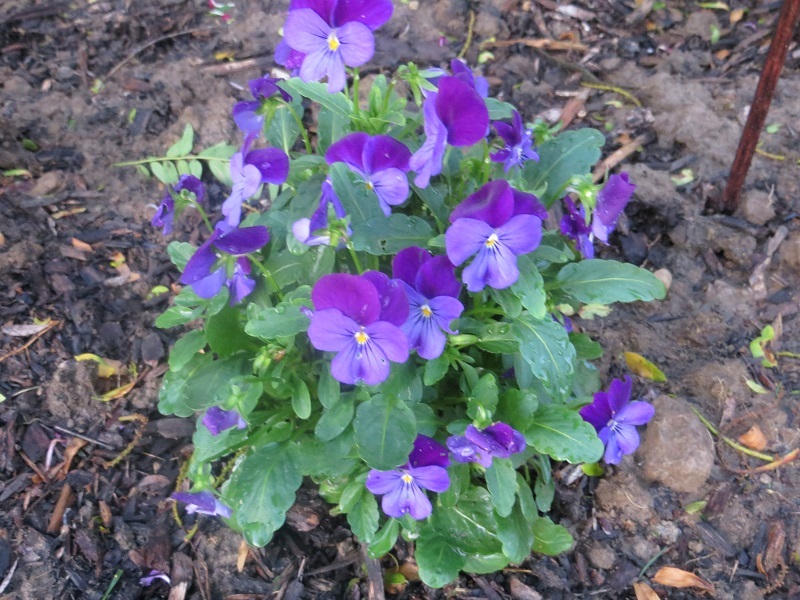 Though I’m still recovering from my illness, I have done some planting of herbs and flowers, watering, a bit of weeding and taking as much time with my feet on Mother Earth as possible. The nights have been amazing! We had a long spell of no rain..so the skies have been full of stars and a beautiful waxing, Full and now waning Moon. She has been low in the sky, orange, then bright and huge! I have basked in her healing energy, sent out healing and protection to others, and tried to come to terms with things that have happened in my life in recent weeks. With the Goddess’s help..I have done just that. I am grateful for all the good things in my life, the people who I love and who love me back, and to follow a Path that helps me to ground and keep myself positive and joyful. In a large bowl, combine agave nectar and 1/4 cup water. Blend well. Add all the rest of the ingredients. Toss gently. Refrigerate. *this is a favorite recipe of mine I made up years ago after having them at Fridays restaurant..who doesn’t serve them anymore..so light and good! Now I have no measurements..sorry..I just throw these together. skewer the chicken, pineapple and peppers onto the sticks. 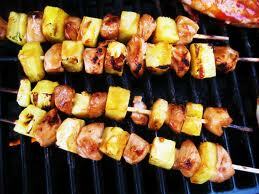 Marinate in a mixture of pineapple juice, honey and soy sauce. Sorry, no measurements and it doesn’t matter. It will turn out great! You want enough juice to cover the kabobs…put in about 1/2 cup honey and 1/2 cup soy ..that might do it 🙂 Place the kabobs in a dish big enough to hold the kabobs covered in the marinade. Let marinade about 4 hours or more. Grill the kabobs on med. heat until chicken is well cooked. Serve with honey as a dip or peanut sauce which is my favorite dip for these yummy kabobs! Really good with a cole slaw and oven fried potatoes! 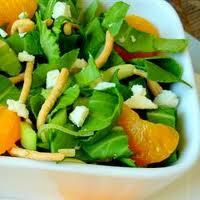 Or with this salad recipe below…. 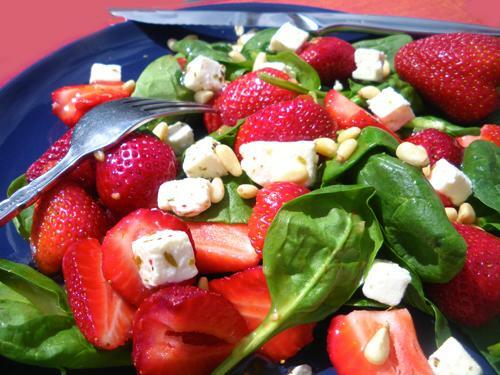 Mix together in a large salad bowl. Add to salad greens and noodles. Toss dressing in salad just before serving! 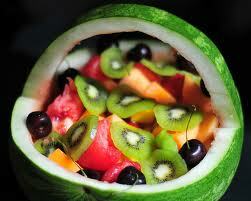 *This would also be good with fresh sliced strawberries! In a large saucepan, place potatoes. Cover with water 2 inches above potatoes. Bring to a boil; cook until tender, 15-20 mins. Drain and let potatoescool. (peel if you’d like). Coarsely chop. In a large bowl, combine potatoes, eggs, celery, parsley, and onion. In a small bowl, combine vinegar, pickle relish, salt and pepper; slowly whisk in oil. Drizzle over potato mixture; toss well. Cover, and refrigerate for at least 2 hours. Preheat oven to 375*. Unroll piecrust, and fit into a shallow 9-inch pie plate; flute edges as desired. In a medium bowl, combine sugar and eggs; beat at medium speed with an electric mixer until blended. Add milk, butter, cocoa, and vanilla, beating until smooth. Pour into prepared pie pan. 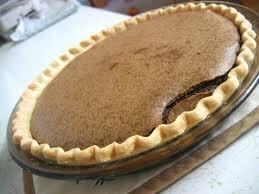 Bake until a knife inserted near the edge comes out clean, 30-35 minutes. Let cool on a wire rack for 1 hour. Top with whipped cream. *This recipe comes from my hubby’s Aunt Betty. It is a delicious cold grown up slushy :)) I make this up in a big bowl and keep it in the freezer all summer long. So good on the porch on hot nights! Mix all ingredients and freeze. To serve, fill glass half full with slush. Add a clear soda like 7-up, Sprite or Sierra Mist. Summer is a time for fresh corn on the cob with herbed butter, sliced tomatoes with mozzarella cheese, fresh basil and italian dressing, grilled peaches and pineapple on vanilla ice cream, juicy burgers and sticky baked beans. Potato and pasta salads, strawberry shortcakes, homemade ice creams, fresh watermelon or canteloupes and lots of water, lemonade and iced tea! Oh and did I mention my favorite? BLT sandwiches with fresh, home grown lettuce and ripe, juicy tomatoes and crusty bread..yummy!!! Make Summer fun..try new recipes…use your herbs to brighten up the taste of your old stand-by recipes. Make fresh juice popsicles for the kids or make ice cream with the old fashioned crank ice cream makers. I have so many wonderful memories of my family doing that. Have a picnic, a cook-out or a romantic, under-the-Moon dinner outdoors. 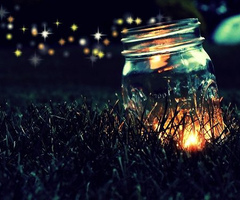 Put candles in mason jars, cut flowers from your garden and place them in a vase on the table, play some Jimmy Buffet or ocean sounds music and just enjoy the view of a Summer night sky. Summer is just 3 short months..enjoy every moment of it! My favorite thing to do to honor the Sun God, is to be up as the Sun rises and have a glass of fresh juice or a cup of coffee and just be grateful for the turning of the wheel, the God and Goddess, and all the blessings in my Life. 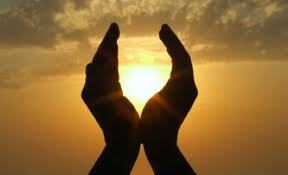 Blessed Summer Solstice to you all. and the landscape Lay as if new; created in all the freshness of childhood. *Sources..all pics are from the internet…..